When researchers first discovered methane on Mars more than a decade ago, it was a huge deal. The presence of methane could enhance habitability and may even be a signature of life but it was never really confirmed independently — until now. 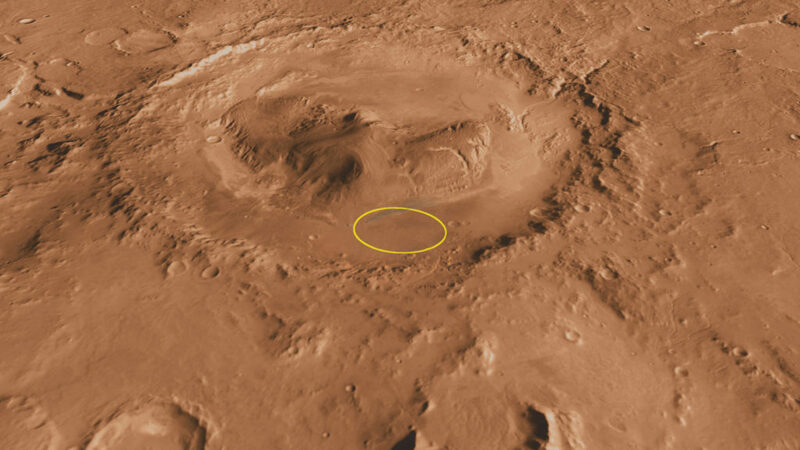 Curiosity’s landing site in Gale Crater. Image credits: NASA/JPL. Using numerical modeling and geological analysis, they also propose that the methane is released in a region of geological faults, pinpointing a promising location for future investigations into the origin of methane on Mars. “This work presents the first independent confirmation of methane detection on Mars and the first synergistic approach to the search for potential sites of methane release, integrating orbital and ground-based detections with Martian geology and atmospheric simulations (using gas emission scenarios based on terrestrial seepage data). This approach provides a template for future efforts aimed at locating sites of methane release from the subsurface on Mars. While this work relies on the hypothesis of a surface release, other explanations remain possible, but given a surface release, our work provides the first constraints for source locations,” researchers write. Previous detections were rightfully questioned. Earth-based observations can find it very difficult to discriminate between telluric and Martian features and the spectral resolution is also very low. Meanwhile, Curiosity rover data can also be questioned as the methane might potentially come from the rover itself — although that possibility was previously ruled out by the Curiosity team. The main problem was that none of the positive detections have ever been confirmed. This is the first time that a methane detection on Mars has been confirmed independently, so this adds a whole new level of certainty. Regional map. 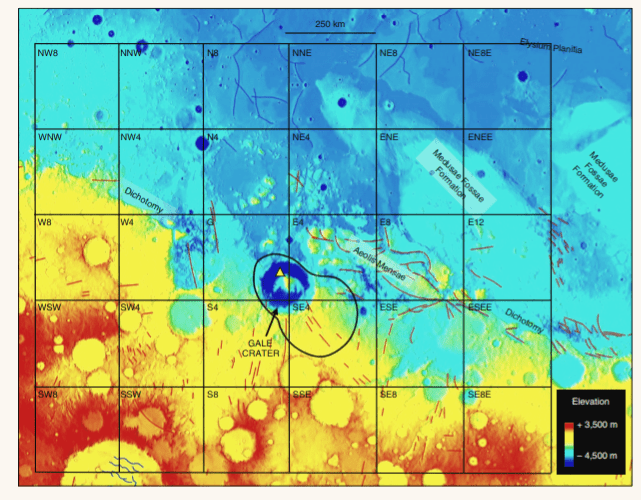 The yellow triangle is Curiosity’s location, black line around that is the location of methane detection. The area was split into grid squares to assess the likelihood of methane sources. The eastern blocks were found to be the most likely sources. Image credits: Giuranna et al. Methane is a chemical compound closely associated with microbial life, but it isn’t necessarily biological in nature. There’s a very good chance that the methane is generated geologically, and this is what this new paper also suggests. Geological faults (planar fractures and displacements) have been associated with methane emissions on Earth, making them a likely culprit. The exact source of the methane remains to be identified in future missions — as does the existence of life on Mars. The study “Independent confirmation of a methane spike on Mars and a source region east of Gale Crater” has been published in Nature.